An Abdominoplasty is used for correction of the abdominal wall and excision of excess skin while a tummy tuck or apronectomy / mini tummy tuck are generally for excision of excess skin only. A flat and well-toned abdomen is something that many people are striving for through exercise and weight control. Sometimes these methods cannot achieve the expected goals, but a tummy tuck procedure could. A tummy tuck procedure will enhance your body contour by making your abdomen firmer and flatter. You may find that you feel more comfortable in your clothing and are more confident about your appearance. Even individuals of otherwise normal body weight and proportion can develop an abdomen that protrudes or is loose and sagging. If your stomach has been stretched beyond the limits of natural repair by weight loss or pregnancy, a tummy tuck procedure may be the solution for you. The benefits to your appearance include a firmer, flatter belly with a smoother stomach contour, and a narrower waist. A tummy tuck is not a substitute for weight loss or an appropriate exercise program. Although the results of a tummy tuck are technically permanent, the positive outcome can be greatly diminished by significant fluctuations in your weight. For this reason, individuals who are planning substantial weight loss or women who may be considering future pregnancies may be advised to postpone a tummy tuck. The benefits of tummy tucks are more plentiful than most people realize. Excess skin removal and the tightening of abdominal muscles will give your stomach a flatter, firmer appearance in addition to decreasing the width of your waistline. Often, the appearance of stretch marks, particularly beneath the line of the navel, can be dramatically improved if not eliminated by the procedure. Other tummy tuck benefits may include a boost in self-confidence and an improvement in the way your clothes fit. Tummy tucks also benefit many patients with abdominal stretch marks. In many cases, stretch marks below the navel are removed along with the excess skin at the close of the procedure and the appearance of remaining stretch marks is often improved when the skin of the abdomen is pulled taut. Tummy tuck surgery is a highly individualized procedure and you should do it for yourself, not to fulfill someone else’s desires or to try to fit any sort of ideal image. A full tummy tuck procedure requires a horizontally-oriented incision in the area between the pubic hairline and navel. The shape and length of the incision will be determined by the degree of correction necessary. Through this incision, weakened abdominal muscles are repaired and sutured while excess fat, tissue and skin is removed. A second incision around the navel may be necessary to remove excess skin in the upper abdomen. Sutures, skin adhesives, tapes or clips close the skin incisions. Your abdominoplasty procedure will result in a flatter, firmer abdominal contour that is more proportionate with your body type and weight. The final results may be initially obscured by swelling and your inability to stand fully upright until internal healing is complete. Within a week or two, you should be standing tall and confident about your new slimmer profile. Your tummy tuck surgery is as individual as you are and we will ensure that you are given the correct information about what tummy tuck procedure is best for you as recommended by your surgeon. Please be aware: that if you are wanting multiple surgeries these may need to be split over 2 sessions 5-7 days apart. 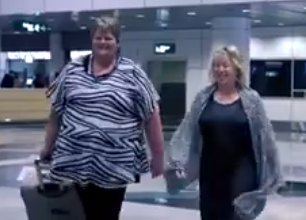 Also if you are 100kg+ or have a BMI 40+ you may incur a risk surcharge by the hospital. This is optioned with your health, well being and your healing as our most important focus and concern. Surgical Garments for your up and coming surgery can be pre-ordered through BodyPlus Garments. BodyPlus specialise in pre-fitting of your garments and can arrange delivery before you leave Australia. Click here to contact them directly for further assistance and advice.